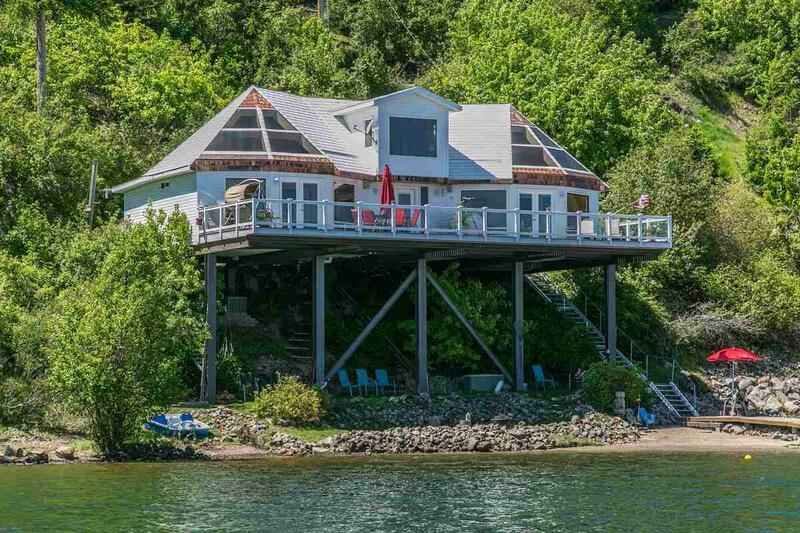 Coeur d' Alene waterfront home with dock and breathtaking views! 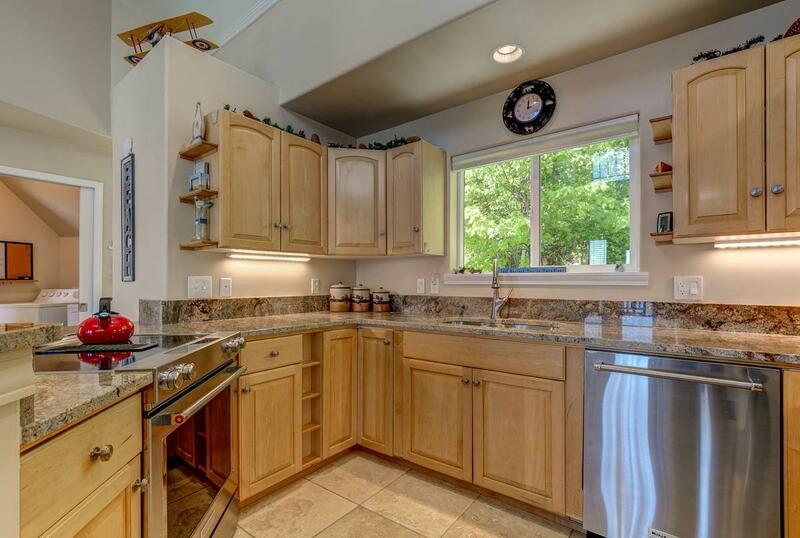 This 3 bed/2 bath home features skylights, a spacious loft, and 75 feet of sandy beach frontage. 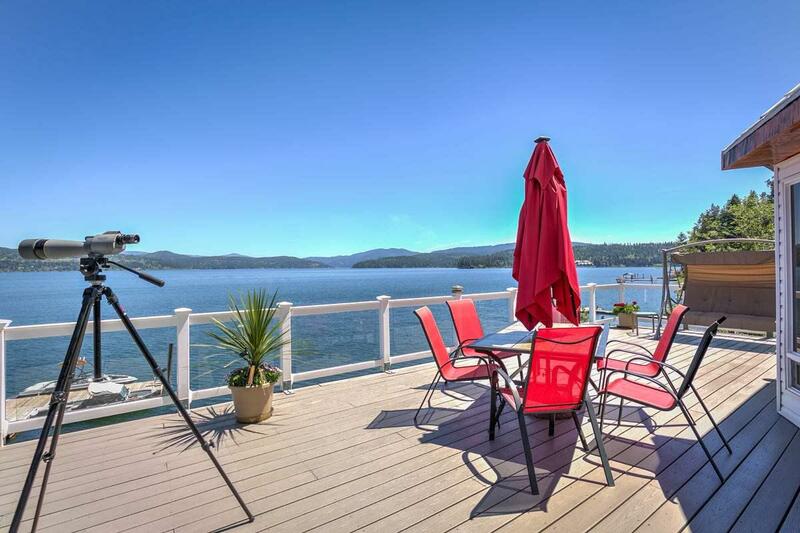 Entertain guests on the large deck overlooking the world famous Coeur d' Alene Lake or walk down to the sandy beach and dock for a great lounging and swimming area. 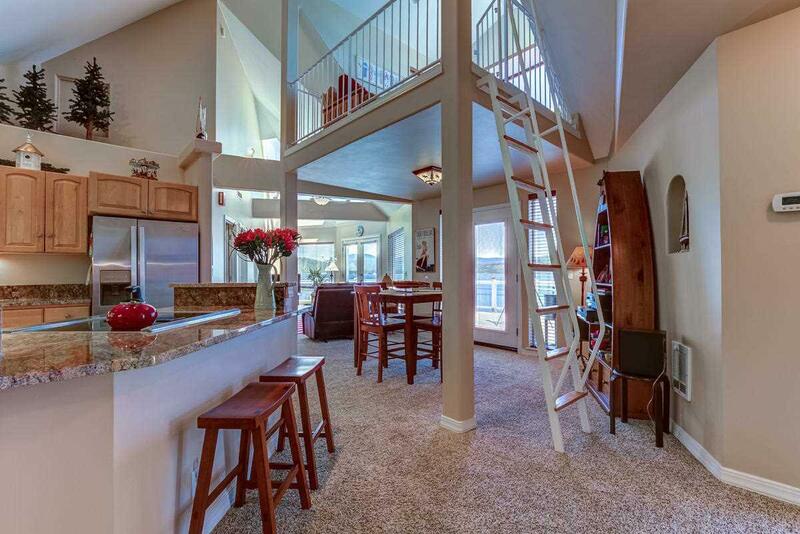 The perfect North Idaho oasis all within minutes of Downtown Coeur d' Alene by boat!